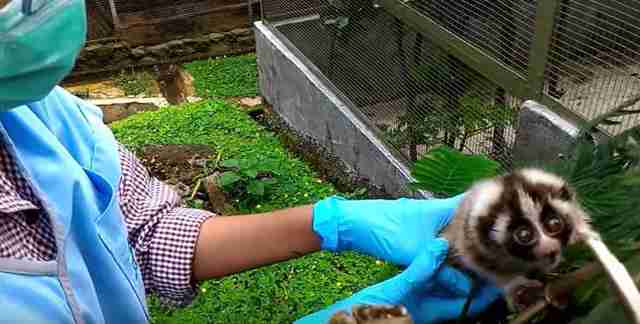 Baby Pasar was rescued back in March after being taken from his home in an Indonesian rainforest to be sold as a pet. 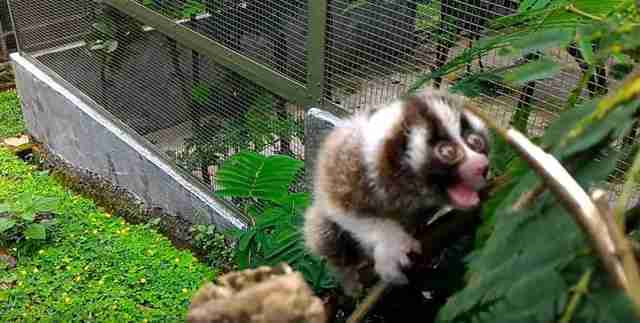 The poor slow loris was extremely traumatized when he arrived at International Animal Rescue (IAR), and clung to his rescuers for dear life. 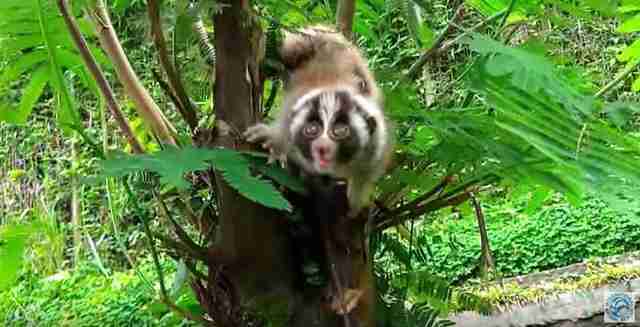 He and another baby loris named Warung were "constantly crying out for their mothers," according to IAR. 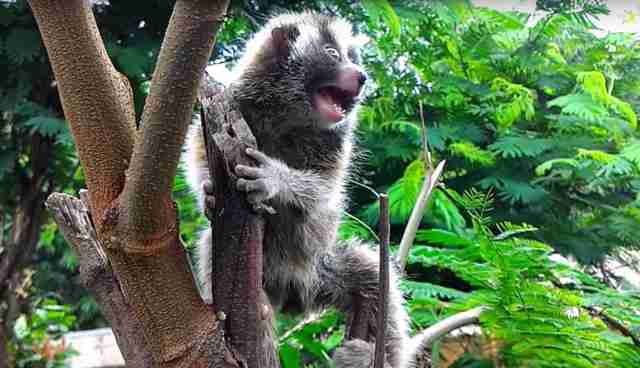 Now, Pasar is finally getting the chance to heal, and is taking comfort in his new favorite activity: climbing trees. ... and so many great facial expressions. ... and is pretty amazed that he's doing it all on his own. You go, Pasar! 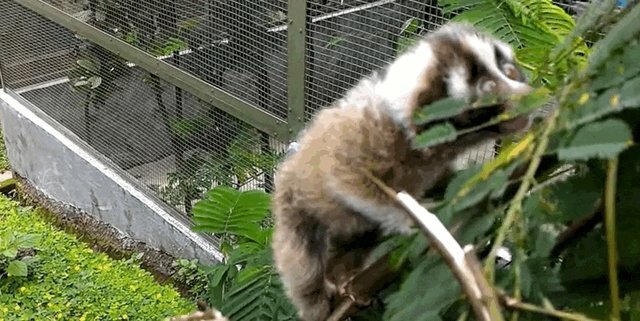 In the wild, Pasar would still be clinging to his mom and not venturing out on his own yet, and so the progress he's made with climbing trees is noteworthy. It's clear that Pasar still misses his mom a great deal, but with care and love, he is slowly learning how to get on without her. Vets hand-feed him the vitamins and minerals that he'd be getting from her in the wild. 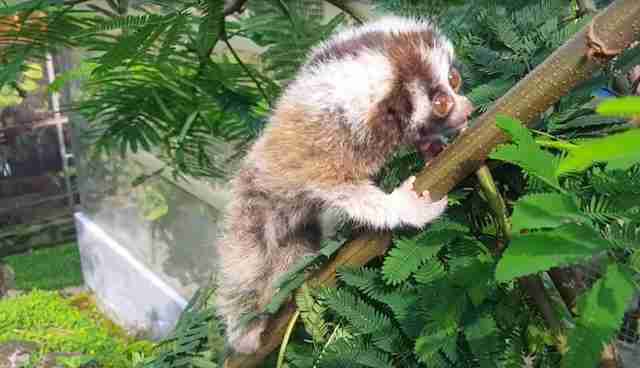 A long road to recovery is still ahead for Pasar, but his rescuers are hopeful that, eventually, the little slow loris will be just fine.